The International Card Manufacturers Association (ICMA) is the leading global card association for card manufacturers and personalizers supported by suppliers and other industry participants. For almost 30 years, ICMA has been at the forefront of this rapidly changing industry, uniting the many companies involved in manufacturing and personalizing cards by creating a global organization for education, networking, and sharing new and innovative ideas. As the complexity of card manufacturing and personalization has increased, so have the production, standards, quality, security and environmental issues surrounding these cards. ICMA has become a major player in the industry, providing both in-person and online education, networking, idea-sharing, and collaboration for companies around the globe, including, but not limited to The Americas, MEA, Asia and Europe. As the leading global card association of manufacturers and personalizers supported by suppliers and other industry participants, ICMA’s mission is to promote the transaction card industry, along with the value of its products and services, by providing an independent forum to share knowledge and ideas. In 2017, the global industry manufactured an estimated 36.8 billion cards valued at $18.1 billion, and personalized and fulfilled many of these cards for an additional service value of almost $8.17 billion – for a combined card industry revenue value of $36.27 billion. ICMA officially participates in the two major standards organizations: the American National Standards Institute (ANSI) and the International Standards Organization (ISO). Over 200 card manufacturers, personalizers, suppliers, issuers and other industry representatives are members of ICMA, the global transaction card association. Based in more than 40 countries around the globe, they conduct business in nearly every country in the world. The annual Card Manufacturing & Personalization EXPO, a leading global conference and trade show dedicated to card production, fulfillment and future trends. Product focused CardTREX regional events in North America and Europe, offering innovative, open-dialogue format covering diverse topics for card manufacturers, personalizers and suppliers. The ACE Program, which has become the global standard of recognition for advanced knowledge of the industry. Card Manufacturing magazine, an advertiser-supported trade publication that includes industry and member news, product releases, standards updates, features and member/ACE spotlights. Two e-newsletters – the weekly ICMA InBrief, which consists of industry/member news and monthly Inside ICMA with the latest association and standards news. Industry standards reports on ISO and ANSI meetings, along with representation on major global standards committees through ICMA’s official standards representative, David Tushie of Magellan Consulting. Numerous webinars and training programs, including CITE (Card Industry Training and Education), online modules that provide a comprehensive overview of the history, breadth and technologies involved in the global plastic card industry. 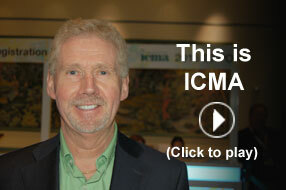 Click here for frequently asked questions about ICMA.